Nicholas M. Bassey is Division Chief, Frontier Partnerships for the U.S. Agency for International Development’s Global Development Lab (the Lab). This new team strategically fosters the Lab’s Center for Transformational Partnerships’ “disrupt” portfolio through alliances with non-traditional stakeholders. With a particular focus on diaspora engagement, the team seeks to develop innovative ways to leverage and unlock private sector resources for international development. Prior to this role he led the Research and Innovation Fellowships program, also at USAID, which built models for knowledge exchange by connecting American graduate student researchers with key organizations in developing countries to collaboratively apply science, technology, and innovation to complex development challenges. Nicholas served as Director of University Programs for the U.S. Peace Corps, establishing and nurturing relationships with a range of higher education institutions involved in international development. Nicholas also served the Peace Corps as Director of Placement. In this position he oversaw the selection of applicants, including applicant qualification and invitation procedures; managed the operations of the Placement Office; assured placement program planning and evaluation; and participated in activities which established and defined the agency’s Volunteer recruitment and placement goals. 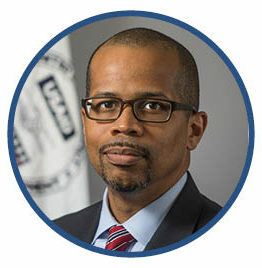 Before joining the Peace Corps staff, Nicholas was Director of the Institute for International Public Policy at the UNCF Special Programs Corporation (UNCFSP). There he administered of all aspects of a fellowship program designed to increase diversity in the international affairs workforce and the creation of partnerships and infrastructure to support international education programs at Minority Serving Institutions. Preceding his work at UNCFSP, Nicholas served as Assistant Vice President for Program Development at the Council for Opportunity in Education, an organization dedicated to expanding access to higher education; Deputy Director of the CDF Freedom Schools program at the Children’s Defense Fund; and Assistant Program Manager at the Morehouse College Office of Community Service. He earned degrees from Morehouse College and the George Washington University.